You can read the magazine for free online on any desktop, laptop, tablet or smartphone. If you’d like to be notified by email when a new issue is available, simply sign up here. 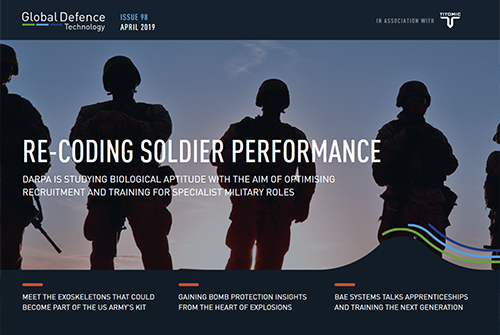 Re-coding soldier performance with biological testing, the US Army’s renewed interest in exoskeletons, the best of Security and Counter Terror Expo 2019, UAV swarms for search & rescue missions, and more. In this issue: Military uses of the Command Professional Edition, the future of synthetic environments, the first robotic-assisted breach drill, cyber training for veterans, and more. 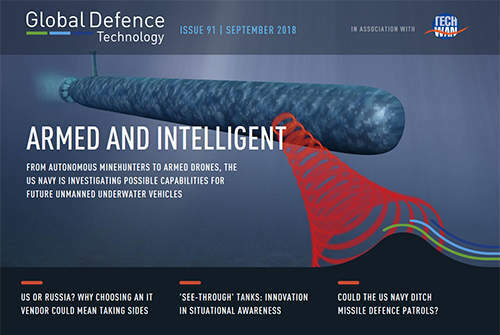 In this issue: Capabilities of future unmanned underwater vehicles, why the US Navy wants to ditch missile patrols, innovation in situational awareness for AVs, the problem with the Watchkeeper drones, and more. 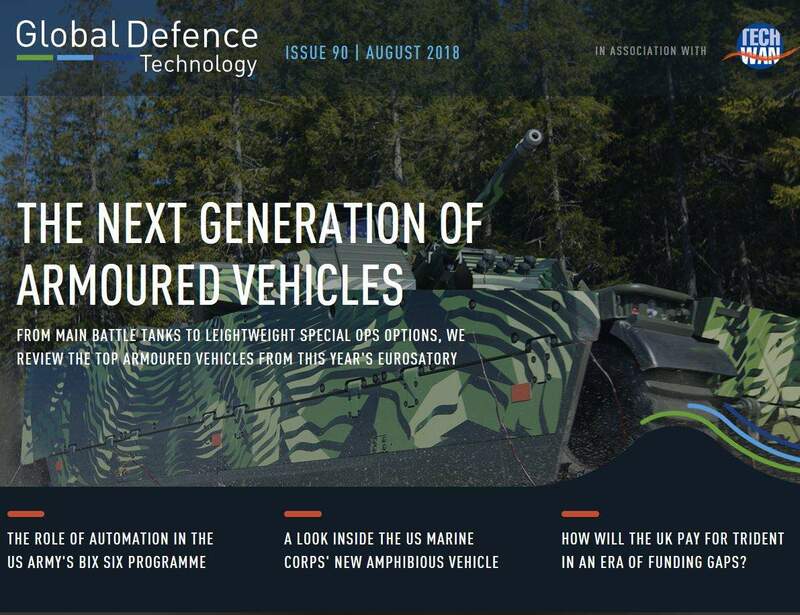 In this issue: Next-gen armoured vehicles, the role of automation in the US Army’s Big Six, defending critical infrastructure, and more. 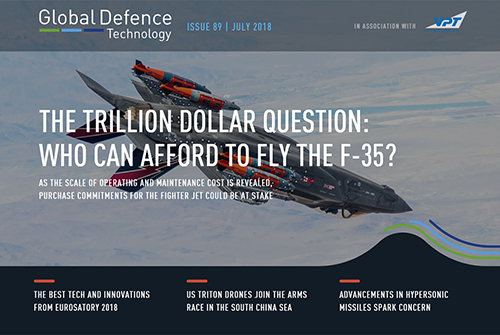 In this issue: F-35 purchase commitments at stake, the best tech and innovations of Eurosatory 2018, US Triton drones head to the South China Sea, and more. 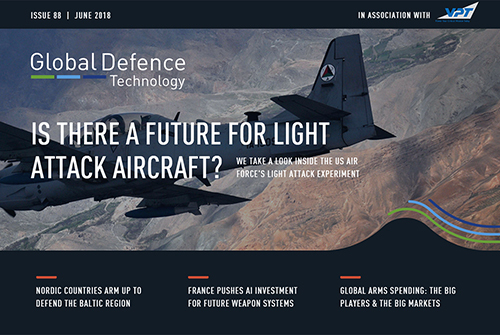 In this issue: Nordic countries arm to defend the Baltic region, inside the US Air Force’s light attack aircraft experiment, France’s pushes AI investment for future weapon systems, and more. In this issue: Maintaining the innovation edge, regenerative medicine on the battlefield, the RAF’s apprenticeship programme, and more. 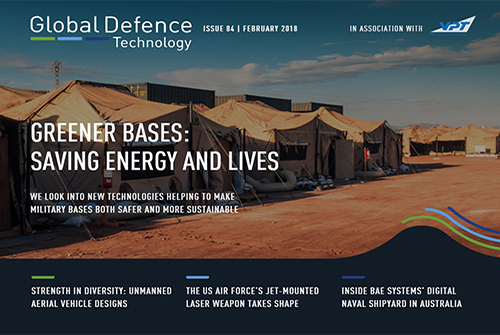 In this issue: Technology for safer and more sustainable bases, the future of driverless technology in military vehicles, innovative UAV designs, the US Air Force’s jet-mounted laser weapons, BAE System’s digital naval shipyard, and more. In this issue: Could Russia gain a technological edge over Britain? 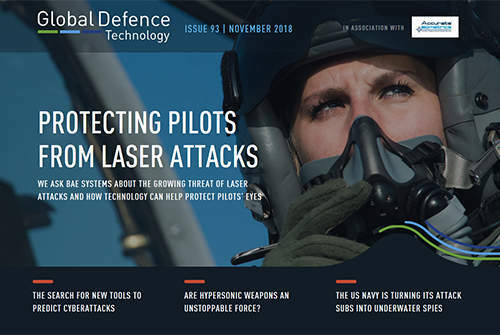 Plus: the benefits of base sharing, protecting GPS guided weapons from spoofing, the next step in electric vehicles, contenders for the T-X jet trainer programme, lessons learned from DCNS’ data breach, and more. future air capabilities, new trouble with Gerald R. Ford, and more. team up for the UK’s new fighter trainer, the Royal Navy catches up with unmanned capabilities and more. 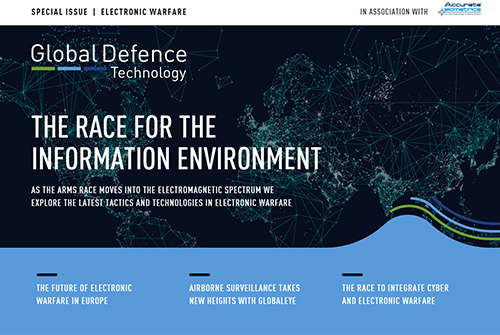 the Gripen E, Archerfish mine-hunting drone and more. In this issue: India’s defence relationship with Russia and the US, the UK’s strategic shift, the future of directed energy weapons, improving connectivity at military bases, progress of the US Navy’s electrification programme, how the US Air Force is tackling violence, and more. In this issue:Afghanistan’s military overhaul, the US Air Force’s adaptive jet engine, progress of the XS-1 space plane, Norway’s plans for collaborative submarine procurement, smart energy ideas for military bases and soldier systems, tackling motion sickness in drone operators and more. In this issue: Making Pakistan’s schools safer with predictive analysis, how the Nexter-KMW merger will change the game for armoured vehicles in Europe, replacing the Humvee, Australia’s $89bn domestic shipbuilding revival and more . 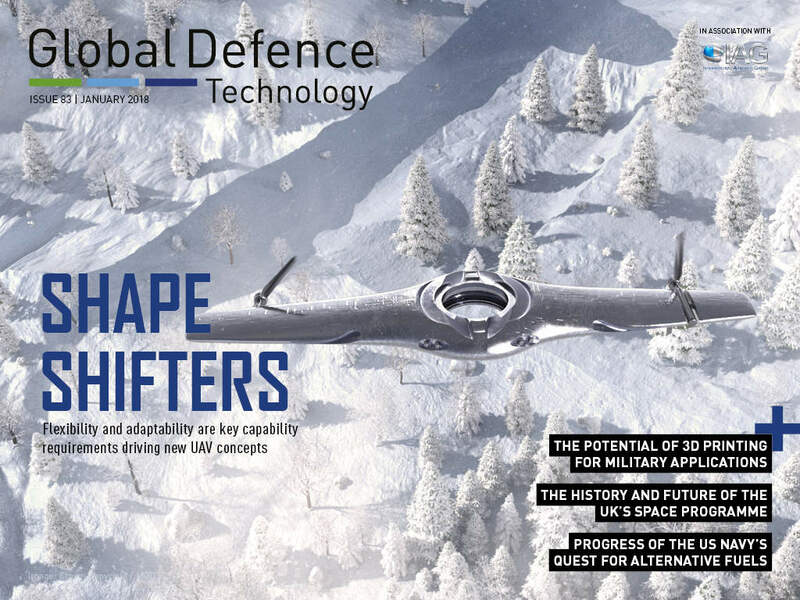 In this issue: Why exercise Jade Helm caused controversy in the US, a look inside the BFBS, decision time for the US Air Force’s long-range strike bomber, extending drone range with hydrogen fuel cells, the US Navy’s NIFC-CA capacity rolls out, and more. 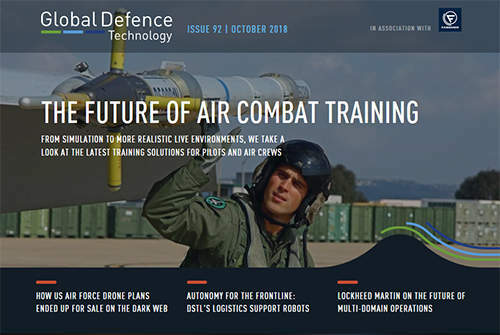 In this issue: The joint European MALE drone project, energy tech for forward operating bases, Skynet’s strategic move to Asia-Pacific, behaviour prediction software as a counterterrorism tool, contenders for the US Navy’s UCLASS programme and more. 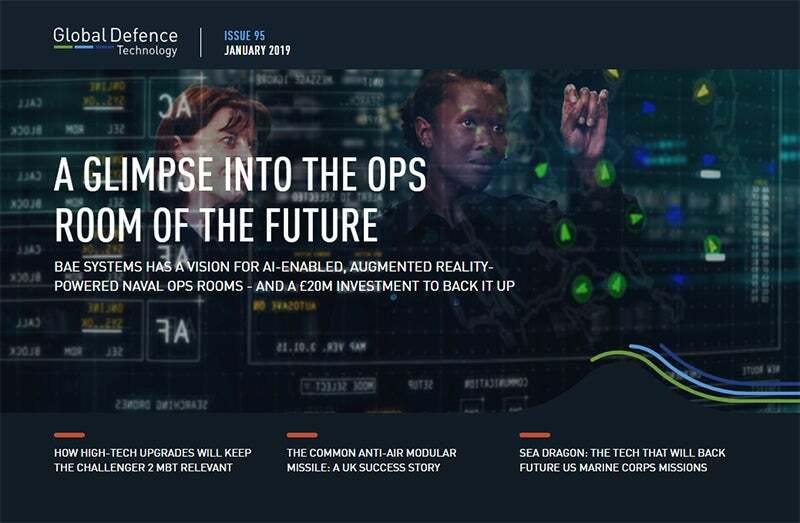 In this issue: A new era for the US space launch market, the US and India team up for business, tackling RCIEDs with smart jamming, insights into emerging IT challenges from IFS, the new naval force mission against trafficking in Libya and more. 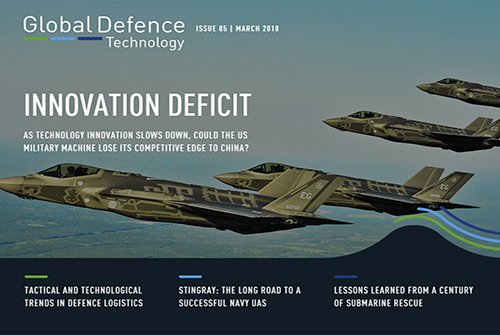 In this issue: Defining a defence strategy for the UK, the race is on for Land 400, the politics behind Israel’s David’s Sling programme, the news from Paris Air Show, the Ford carrier’s bumpy ride into service, the US Navy’s new littoral tech trinity and more. In this issue: The future or arms control in Europe, times of trouble for Germany’s defence industry, the US Army’s ammunition recycling project, new information management tools for an increasingly connected battlefield, innovations in port security technology and more. 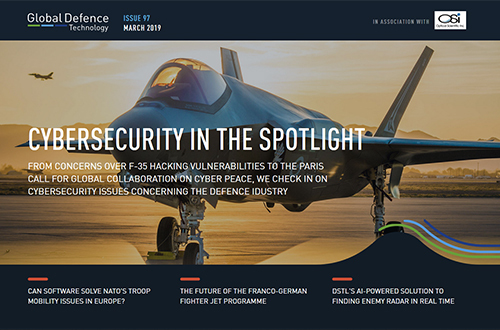 In this issue: France reconsiders its defence budget, he UK’s new virtual cyber centre of operations, success stories in landmine clearance, Australia’s F-35 trouble, building warships in virtual reality and more. The strategic thinking behind US-Vietnam reconciliation, boosting simulation technology with an open-source approach, the problem of regulating private militaries, the market potential of Textron AirLand’s Scorpion budget fighter, how the Triton UAS could transform maritime surveillance, Australia’s U-turn on domestic-built submarines and more. Boosting European land defences against Russian tanks, innovative body armour from head to toe, the British Army’s contribution to the Bloodhound supersonic car, missile defence for commercial airliners, the benefits of quantity vs quality in modern naval fleets, and more. In this issue: Russia’s threat to cut the US off from vital rocket engine supplies, Michelin’s new anti-landmine tyre, the best designs for military flying trucks, new criticism of the F-35’s stealth capabilities, the grand entrance of HMS Queen Elizabeth and more. 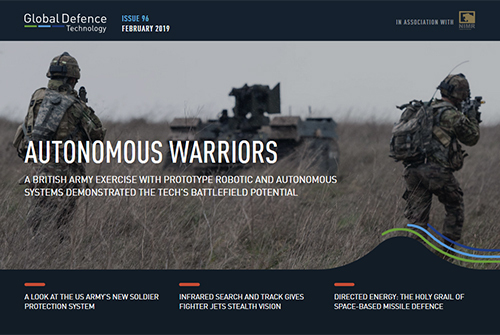 In this special issue we take a look at the future of unmanned and autonomous military systems on land, in the air and at sea – from the latest army robots to unmanned convoys, the push for greater autonomy in the air and the next generation of naval drones. 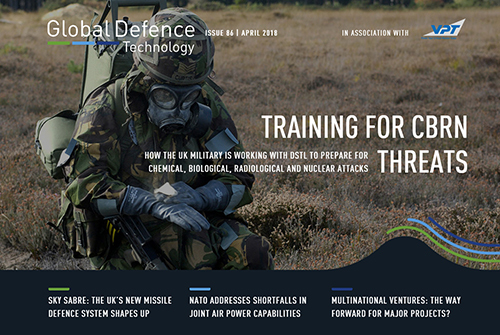 In this issue : Implications of the UK’s Biological Non-Proliferation Programme, the UK’s largest virtual simulation soldier exercise, the controversy surrounding performance enhancing drugs, the capabilities of HALE UAVs vs proven existing technology, the Royal Navy’s hydrographic work, and more. In this issue : Hyper-realistic battlefield training, lock and launch sniper technology, the Aeroscraft vertical cargo blimp prototype, positioning systems to back up GPS, unmanned vessels for the long-term tracking of submarines, Iran’s fast attack craft fleet, and more. In this issue : The US Navy’s Great Green Fleet in stormy political waters, France’s lightweight Hercule exoskeleton, new helmet designs and materials, rise of the dogfighting drones, and more. In this issue : Top vessels for littoral patrol, protecting digital infrastructure, armoured vehicles made in the UAE, the future of pilot training, and more. In this issue : Mind-controlled weapons – sci-fi or fact? 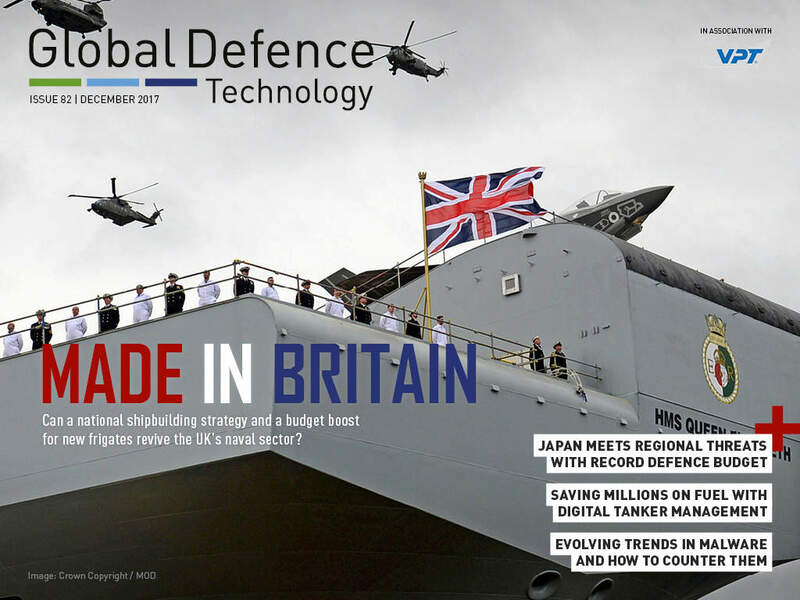 Plus: Situational awareness tech for frontline soldiers, Asias race for early warning tech, the UKs carrier saga continues, and more. In this issue : The British militarys Olympic security effort, top helicopter gunships, the technology behind fifth-generation fighter air-to-air missiles, automated coast guards, and more. In this issue : Indias F-INSAS programme, top ten energy-saving tech, the F-35s F135 engine from concept to testing, Australias urgent naval upgrades, and more. In this issue : Mission: Support – How modern logistics systems can meet the challenges of new mission requirements and budgetary constraints. In this issue : With a range of exoskeletons suits now being tested, how close are we to having Ironman-style soldiers? In this issue : Going on the cyber offensive, top third-gen tanks, leading air force training aircraft, high-precision naval navigation, and more.